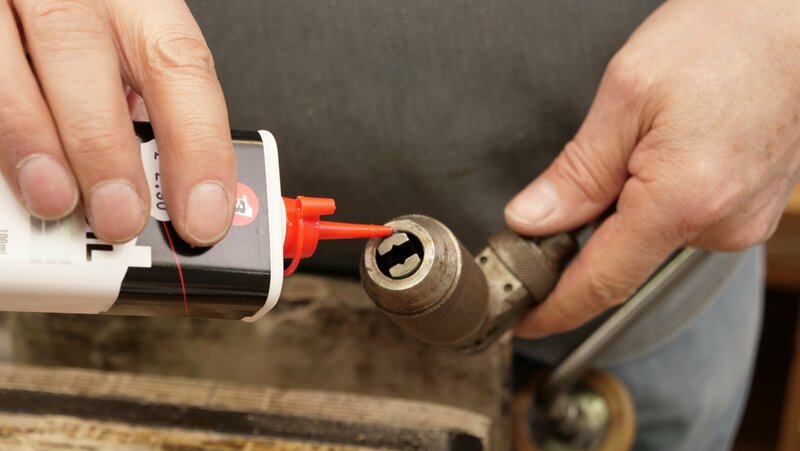 If you have purchased your brace secondhand, ensure all the parts move freely without friction, if not you can oil these parts to ease up the friction. There is usually an oil hole where the neck connects to the pad, only one or two drops are needed. 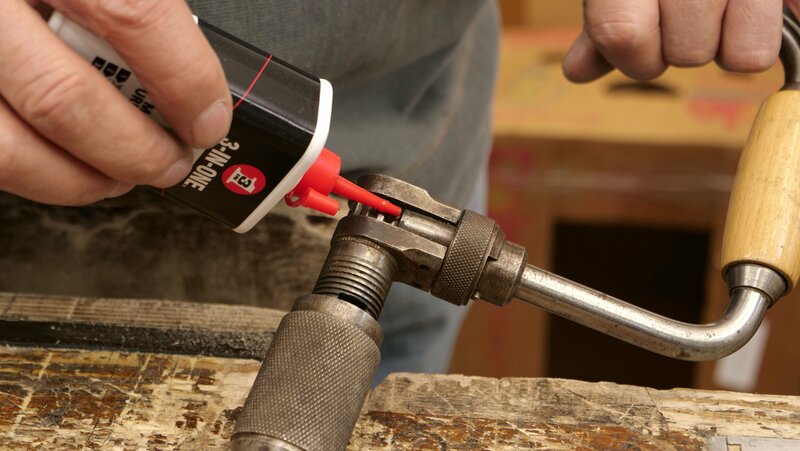 The chuck and the chuck thread may also need oiling from time to time to stop them seizing up. 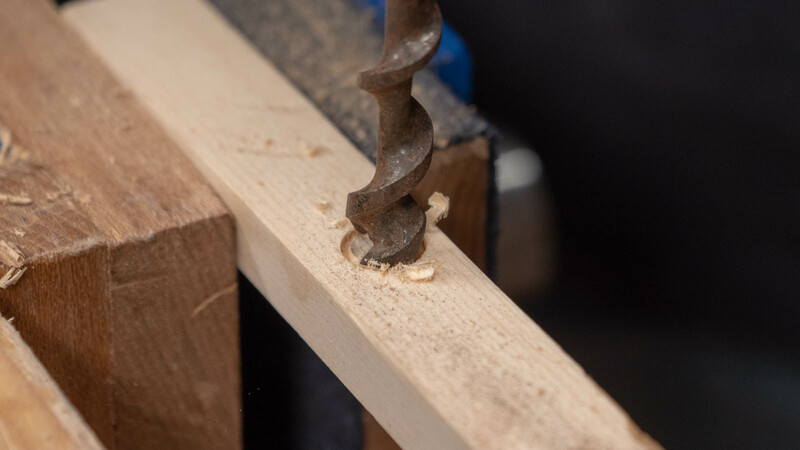 To sharpen the Auger bits, use a small saw file on the inside of the cutting edge of the large spiral. 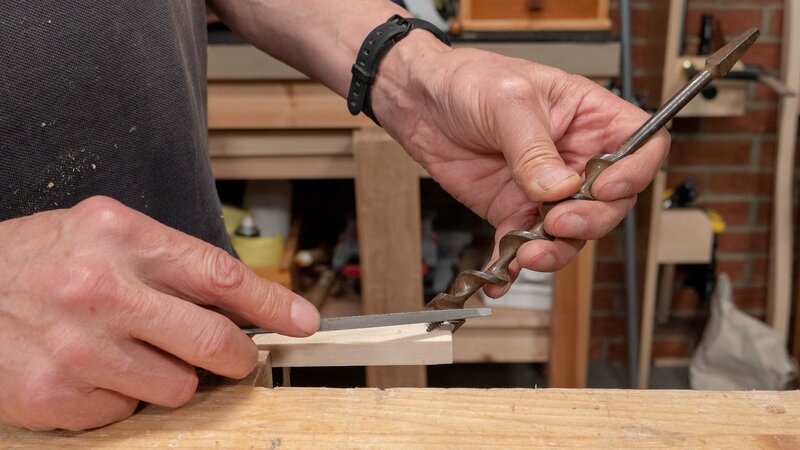 Do not use the file on the outer side of the spiral as this will warp the cutting shape. 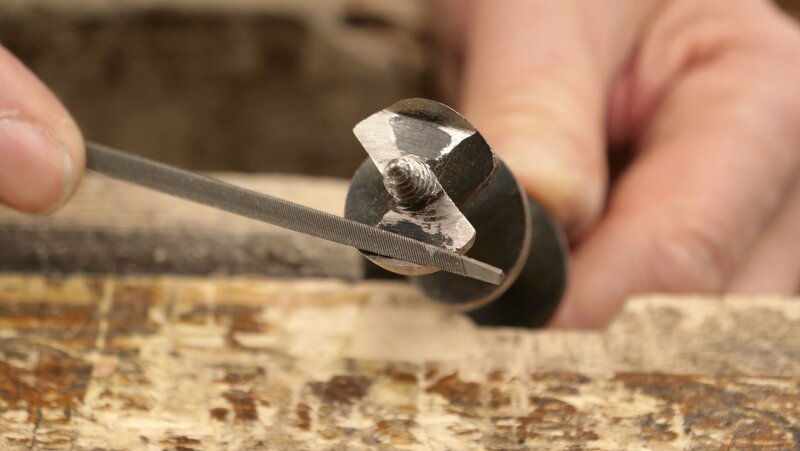 Even if you have bought your bit new, it still may need sharpening. Tip: If you have purchased your brace brand new, it is always good practice to check the moving of the parts before use. 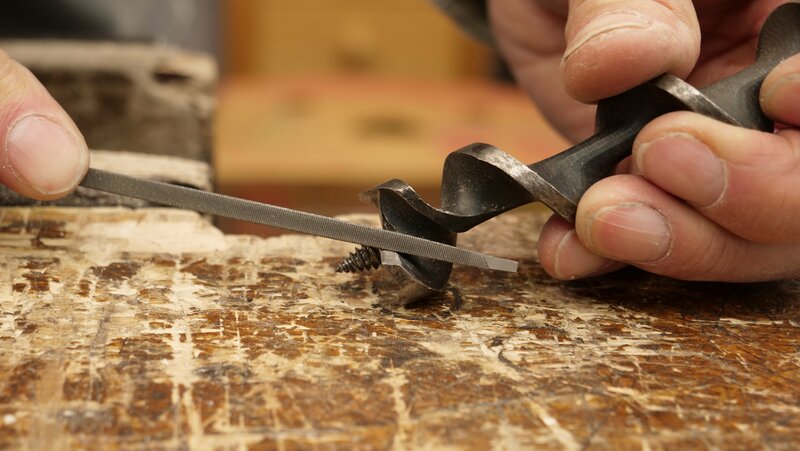 To see how to sharpen a secondhand brace bit, click here. 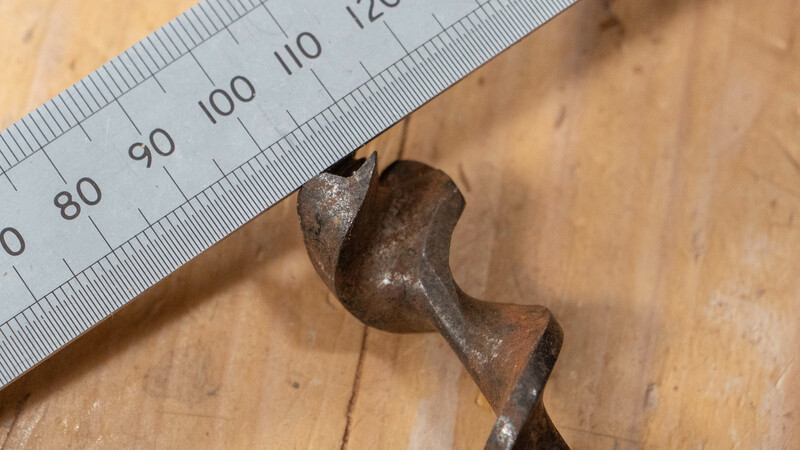 When filing the spurs, only file the inside half moon shape. 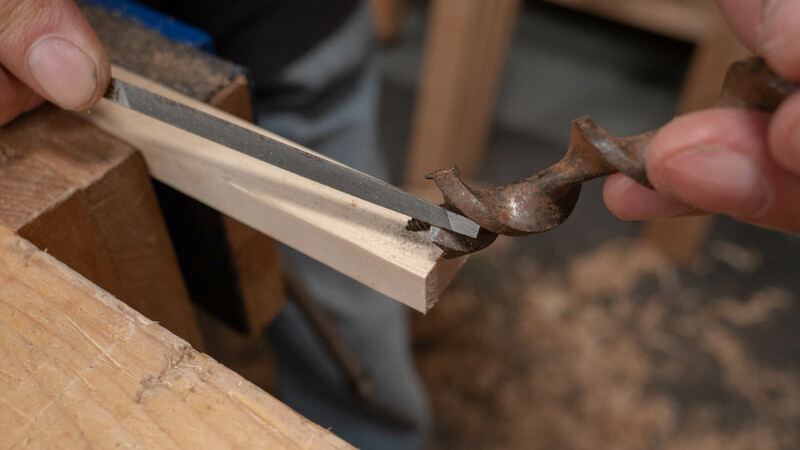 Follow the arc and file carefully so as not to alter the shape more than necessary. 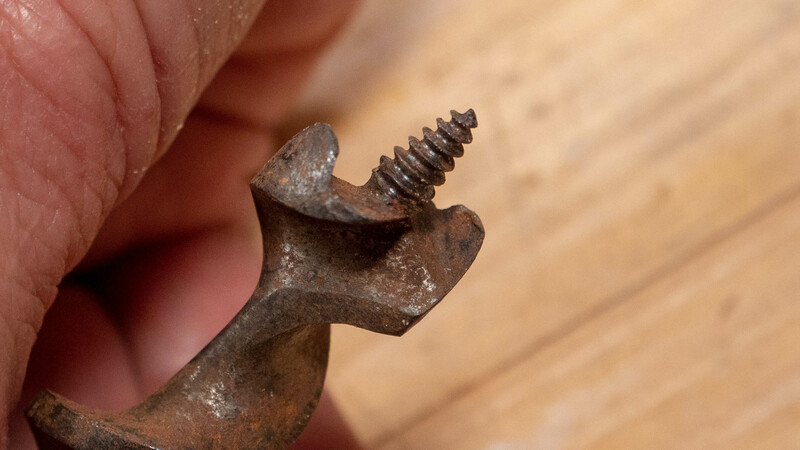 When sharpening a secondhand brace bit, look out for the spurs (semi-circular outer face) and ensure they are taller than the cutting edge. 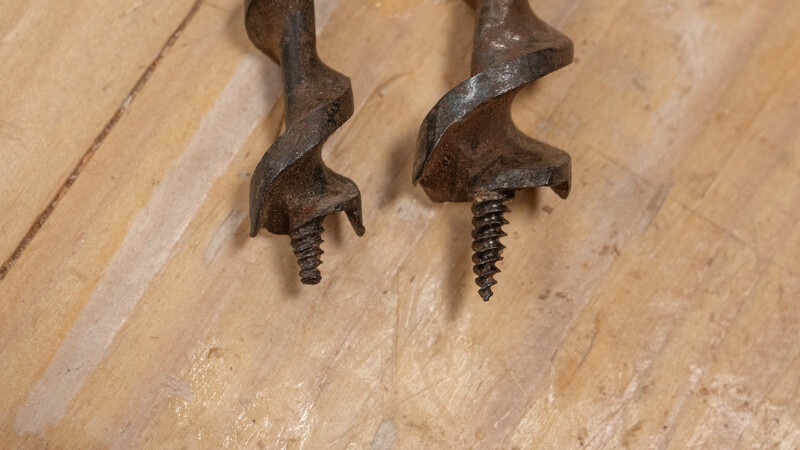 If they are shorter, the spurs won’t reach and will not score the diameter of the hole which may result in unwanted splitting if used. The spurs should be free from extensive damage, however some damage is repairable. 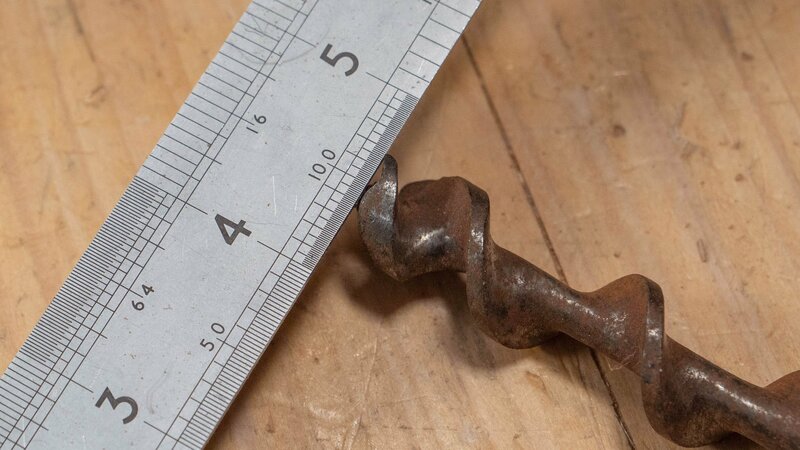 In the picture below, the spur damage is from when the bit has been used to bore a hole and it has hit a nail or a screw when doing so. 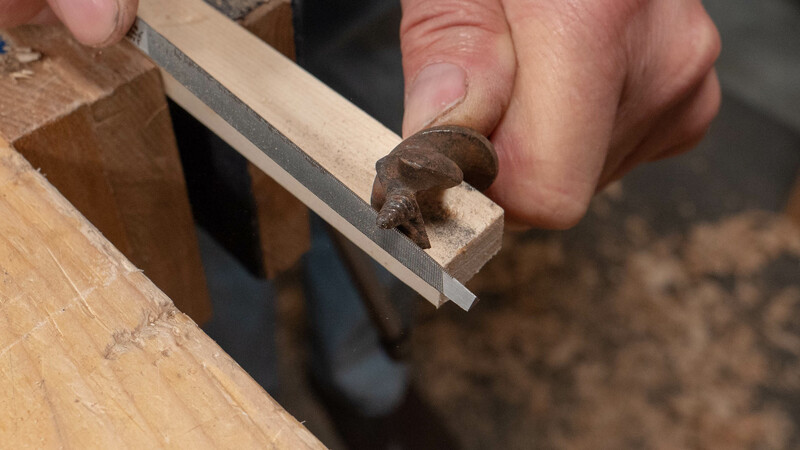 When it is sharpened this misshapen metal will be abraded away and a good sharp edge is formed. 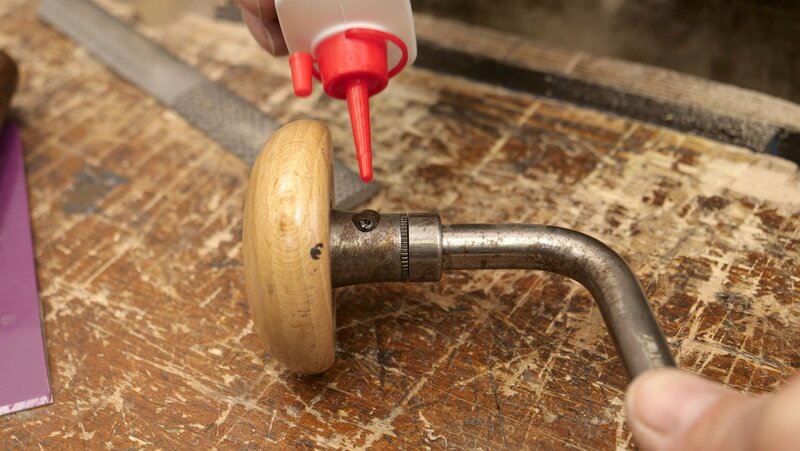 Don’t worry if your secondhand bits are rusty, the naturally abrasive properties of wood will wear this away over time. Another thing to look out for is the snail, one is blunt and one is sharp. 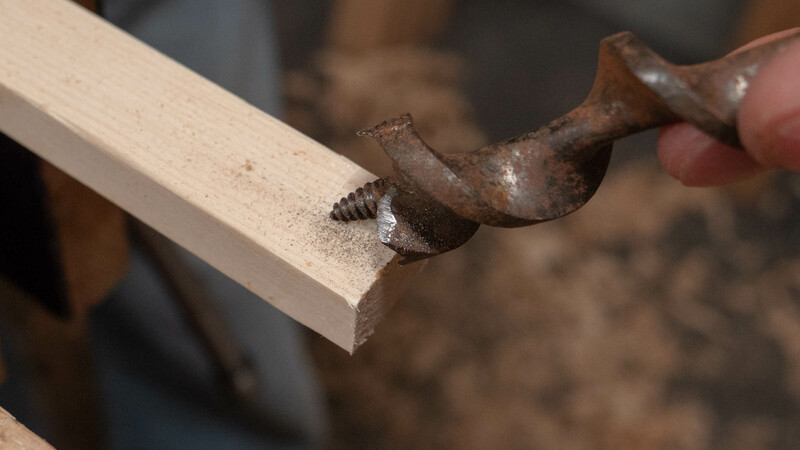 If you come across a blunt one, you can sharpen this in a similar shape to a square awl, to a pyramid point retaining as much of the thread as possible. This can be done using a saw file. 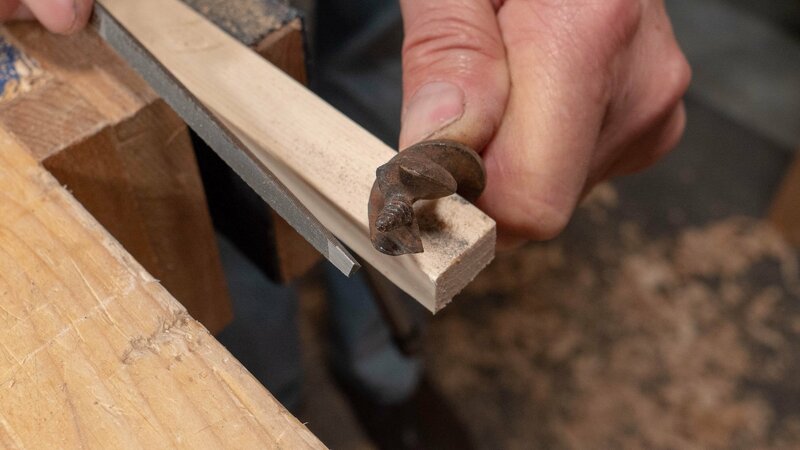 Once you have sharpened the spurs, cutting edge and the pointed snail (if it needs sharpening) your bit should work as normal, test it on a scrap piece of wood.